Dr. Richika Sahay Shukla is a Consultant IVF Specialist in Sector 11, Noida. She is currently practicing at Metro Hospitals & Heart Institute in Sector 11, Noida. The doctor is having more than 17 years of experience. Dr. Richika Sahay Shukla is a well qualified IVF Specialist in Sector 11, Noida. 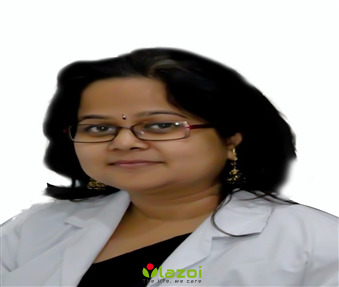 As an IVF Specialist, her area of expertise includes in- vitro fertilization (IVF)/ICSI by various protocols and in difficult cases like elderly patient, postmenopausal, poor ovarian responders, recurrent IVF failure, Surrogacy & Donor eggs conception and fertility enhancing surgeries by Laparoscopy & Hysteroscopy. Patients from all around Noida Sector 11 and entire Noida come to Dr. Richika Sahay Shukla with lots of hopes and the doctor ensures that the patients are satisfied with the treatments, with her experience and the techniques she uses as an IVF Specialist. Dr. Richika Sahay Shukla has completed her MBBS from MGM Medical College in 2001 and DNB (Obstetrics & Gynecology) from National Board of Examinations in 2005. Before practicing as an IVF Specialist in Sector 11, Noida, Dr. Richika Sahay Shukla was formerly associated with AIIMS, Sir Ganga Ram Hospital, Moolchand Hospital, Maharaja Agrasen Hospital and Fortis Hospital. She is also the member of some prestigious organizations like The Federation of Obstetric and Gynecological Societies of India (FOGSI), The Association of Obstetricians & Gynecologists of Delhi (AOGD), Indian Fertility Society (IFS) and Indian Society for Assisted Reproduction (ISAR). Dr. Richika Sahay Shukla is a well known IVF Specialist in Sector 11, Noida. You can book an online appointment with Dr. Richika Sahay Shukla on www.Lazoi.com.